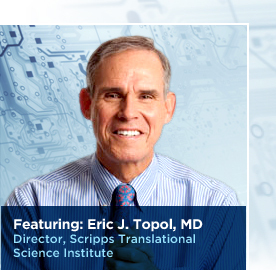 From Molecular Biology to Translational Medicine: How Far Have We Come, and Where Does It Lead Us? This material will cover the initiation phase of molecular biology, Part I; to be followed by the Human Genome Project, Part II; and concludes with Ubiquitin, it’s Role in Signaling and Regulatory Control, Part III. The previous article focused on key drivers of cellular proliferation, stepwise mutational changes coinciding with cancer progression, and potential therapeutic targets for reversal of the process. It also covers the race to delineation of the Human Genome, discovery methods and fundamental genomic patterns that are ancient in both animal and plant speciation. This article reviews the web-like connections between early and later discoveries, as significant finding has led to novel hypotheses and many more findings over the last 75 years. This largely post WWII revolution has driven our understanding of biological and medical processes at an exponential pace owing to successive discoveries of chemical structure, the basic building blocks of DNA and proteins, of nucleotide and protein-protein interactions, protein folding, allostericity, genomic structure, DNA replication, nuclear polyribosome interaction, and metabolic control. In addition, the emergence of methods for copying, removal and insertion, and improvements in structural analysis as well as developments in applied mathematics have transformed the research framework. During the Second World War we had the discoveries of physics and the emergence out of the Manhattan Project of radioactive nuclear probes from E.O. Lawrence University of California Berkeley Laboratory. The use of radioactive isotopes led to the development of biochemistry and isolation of nucleotides, nucleosides, enzymes, and filling in of details of pathways for photosynthesis, for biosynthesis, and for catabolism. Perhaps a good start of the journey is a student of Neils Bohr named Max Delbruck (September 4, 1906 – March 9, 1981), who won the Nobel prize for discovering that bacteria become resistant to viruses (phages) as a result of genetic mutations, founded a new discipline called Molecular Biology, lifting the experimental work in Physiology to a systematic experimentation in biology with the rigor of Physics using radiation and virus probes on selected cells. In 1937 he turned to research on the genetics of Drosophila melanogaster at Caltech, and two years later he coauthored a paper, “The growth of bacteriophage”, reporting that the viruses replicate in one step, not exponentially. In 1942, he and Salvador Luria of Indiana University demonstrated that bacterial resistance to virus infection is mediated by random mutation. This research, known as the Luria-Delbrück experiment, notably applied mathematics to make quantitative predictions, and earned them the 1969 Nobel Prize in Physiology or Medicine, shared with Alfred Hershey. His inferences on genes’ susceptibility to mutation was relied on by physicist Erwin Schrödinger in his 1944 book, What Is Life?, which conjectured genes were an “aperiodic crystal” storing code-script and influenced Francis Crick and James D. Watson in their 1953 identification of cellular DNA’s molecular structure as a double helix. A new understanding of heredity and hereditary disease was possible once it was determined that DNA consists of two chains twisted around each other, or double helixes, of alternating phosphate and sugar groups, and that the two chains are held together by hydrogen bonds between pairs of organic bases—adenine (A) with thymine (T), and guanine (G) with cytosine (C). Modern biotechnology also has its basis in the structural knowledge of DNA—in this case the scientist’s ability to modify the DNA of host cells that will then produce a desired product, for example, insulin. and Linus Pauling’s discovery that the molecules of some proteins have helical shapes. In 1962 James Watson (b. 1928), Francis Crick (1916–2004), and Maurice Wilkins (1916–2004) jointly received the Nobel Prize in physiology or medicine for their 1953 determination of the structure of deoxyribonucleic acid (DNA), performed with a knowledge of Chargaff’s ratios of the bases in DNA and having access to the X-ray crystallography of Maurice Wilkins and Rosalind Franklin at King’s College London. Because the Nobel Prize can be awarded only to the living, Wilkins’s colleague Rosalind Franklin (1920–1958), who died of cancer at the age of 37, could not be honored. Of the four DNA researchers, only Rosalind Franklin had any degrees in chemistry. Franklin completed her degree in 1941 in the middle of World War II and undertook graduate work at Cambridge with Ronald Norrish, a future Nobel Prize winner. She returning to Cambridge after a year of war service, presented her work and received the PhD in physical chemistry. Franklin then learned the X-ray crystallography in Paris and rapidly became a respected authority in this field. Returning to returned to England to King’s College London in 1951, her charge was to upgrade the X-ray crystallographic laboratory there for work with DNA. I digress to the beginnings of the Cold Spring Harbor Laboratory. A significant part of the Laboratory’s life revolved around education with its three-week-long Phage Course, taught first in 1945 by Max Delbruck, the German-born, theoretical-physicist-turned-biologist. James D Watson first came to Cold Spring Harbor Laboratory with his thesis advisor, Salvador Luria, in the summer of 1948. Over its more than 25-year history, the Phage Course was the training ground for many notable scientists. The Laboratory’s annual scientific Symposium, has provided a unique highly interactive education about the exciting field of “molecular” biology. The 1953 symposium featured Watson coming from England to give the first public presentation of the DNA double helix. When he became the Laboratory’s director in 1968 he was determined to make the Laboratory an important center for advancing molecular biology, and he focused his energy on bringing large donations to the enterprise CSHNL. It became a magnate for future discovery at which James D. Watson became the Director in 1968, and later the Chancellor. This contribution has as great an importance as his Nobel Prize discovery. Moreover, at the same time, the experience of Nathan Kaplan and Martin Kamen at Berkeley working with radioactive probes was the beginning of an establishment of Lawrence-Livermore Laboratories role in metabolic studies, as reported in the previous paper. A collaboration between Sid Collowick, NO Kaplan and Elizabeth Neufeld at the McCollum Pratt Institute led to the transferase reaction between the two main pyridine nucleotides. Neufeld received a PhD a few years later from the University of California, Berkeley, under William Zev Hassid for research on nucleotides and complex carbohydrates, and did postdoctoral studies on non-protein sulfhydryl compounds in mitosis. Her later work at the NIAMDG on mucopolysaccharidoses. The Lysosomal Storage Diseases opened a new chapter on human genetic diseases when she found that the defects in Hurler and Hunter syndromes were due to decreased degradation of the mucopolysaccharides. When an assay became available for α-L-iduronidase in 1972, Neufeld was able to show that the corrective factor for Hurler syndrome that accelerates degradation of stored sulfated mucopolysaccharides was α-L-iduronidase. We see a huge impetus for nucleic acids and nucleotides research growing in the 1950’s with a post WWII emergence of work on biological structure. At the same time, the importance of enzymes in cellular metabolic processes runs parallel to that of the genetic code. In 1959 Arthur Kornberg was a recipient of the Nobel prize for Physiology or Medicine based on his discovery of “the mechanisms in the biological synthesis of deoxyribonucleic acid” (DNA polymerase) together with Dr. Severo Ochoa of New York University. In the next 20 years Stanford University Department of Biochemistry became a top rated graduate program in biochemistry. 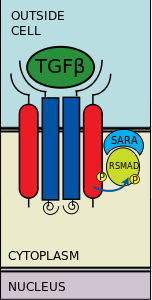 Today, the Pfeffer Lab is distinguished for research into how human cells put receptors in the right place through Rab GTPases that regulate all aspects of receptor trafficking. Steve Elledge (1984-1989) at Harvard University is one of its graduates from the 1980s. In 2006, Roger Kornberg was awarded the Nobel Prize in Chemistry for identifying the role of RNA polymerase II and other proteins in transcribing DNA. He says that the process is something akin to a machine. “It has moving parts which function in synchrony, in appropriate sequence and in synchrony with one another”. The Kornbergs were the tenth family with closely-related Nobel laureates. The 2009 Nobel Prize in Chemistry was awarded to Venki Ramakrishnan, Tom Steitz, and Ada Yonath for crystallographic studies of the ribosome. The atomic resolution structures of the ribosomal subunits provide an extraordinary context for understanding one of the most fundamental aspects of cellular function: protein synthesis. 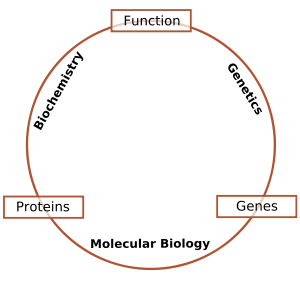 Research on protein synthesis began with studies of microsomes, and three papers were published on the atomic resolution structures of the 50S and 30S the atomic resolution of structures of ribosomal subnits in 2000. Perhaps the most remarkable and inexplicable feature of ribosome structure is that two-thirds of the mass is composed of large RNA molecules, the 5S, 16S, and 23S ribosomal RNAs, and the remaining third is distributed among ~50 relatively small and innocuous proteins. The first step on the road to solving the ribosome structure was determining the primary structure of the 16S and 23S RNAs in Harry Noller’s laboratory. The sequences were rapidly followed by secondary structure models for the folding of the two ribosomal RNAs, in collaboration with Carl Woese, bringing the ribosome structure into two dimensions. The RNA secondary structures are characterized by an elaborate series of helices and loops of unknown structure, but other than the insights offered by the structure of transfer RNA (tRNA), there was no way to think about folding these structures into three dimensions. The first three-dimensional images of the ribosome emerged from Jim Lake’s reconstructions from electron microscopy (EM) (Lake, 1976). Ada Yonath reported the first crystals of the 50S ribosomal subunit in 1980, a crucial step that would require almost 20 years to bring to fruition (Yonath et al., 1980). Yonath’s group introduced the innovative use of ribosomes from extremophilic organisms. Peter Moore and Don Engelman applied neutron scattering techniques to determine the relative positions of ribosomal proteins in the 30S ribosomal subunit at the same time. Elegant chemical footprinting studies from the Noller laboratory provided a basis for intertwining the RNA among the ribosomal proteins, but there was still insufficient information to produce a high resolution structure, but Venki Ramakrishnan, in Peter Moore’s laboratory did it with deuterated ribosome reconstitutions. Then the Yale group was ramping up its work on the H. marismortui crystals of the 50S subunit. Peter Moore had recruited long-time colleague Tom Steitz to work on this problem and Steitz was about to complete the final event in the pentathlon of Crick’s dogma, having solved critical structures of DNA polymerases, the glutaminyl tRNA-tRNA synthetase complex, HIV reverse transcriptase, and T7 RNA polymerase. In 1999 Steitz, Ramakrishnan, and Yonath all presented electron density maps of subunits at approximately 5 Å resolution, and the Noller group presented 10 Å electron density maps of the Thermus 70S ribosome. Peter Moore aptly paraphrased Churchill, telling attendees that this was not the end, but the end of the beginning. Almost every nucleotide in the RNA is involved in multiple stabilizing interactions that form the monolithic tertiary structure at the heart of the ribosome. This opened the door to new therapies. For example, in 2010 it was reported that Numerous human genes display dual coding within alternatively spliced regions, which give rise to distinct protein products that include segments translated in more than one reading frame. To resolve the ensuing protein structural puzzle, we identified human genes with alternative splice variants comprising a dual coding region at least 75 nucleotides in length and analyzed the structural status of the protein segments they encode. The inspection of their amino acid composition and predictions by the IUPred and PONDR® VSL2 algorithms suggest a high propensity for structural disorder in dual-coding regions. Barbara McClintock received the Nobel Prize for Medicine for the discovery of the mobility of genetic elements, work that been done in that period. When transposons were demonstrated in bacteria, yeast and other organisms, Barbara rose to a stratospheric level in the general esteem of the scientific world, but she was uncomfortable about the honors. It was sufficient to have her work understood and acknowledged. Prof. Howard Green said of her, “There are scientists whose discoveries greatly transcend their personalities and their humanity. But those in the future who will know of Barbara only her discoveries will know only her shadow”. She introduced her Nobel Lecture in 1983 with the following observation: “An experiment conducted in the mid-nineteen forties prepared me to expect unusual responses of a genome to challenges for which the genome is unprepared to meet in an orderly, programmed manner. In most known instances of this kind, the types of response were not predictable in advance of initial observations of them. It was necessary to subject the genome repeatedly to the same challenge in order to observe and appreciate the nature of the changes it induces…a highly programmed sequence of events within the cell that serves to cushion the effects of the shock. Some sensing mechanism must be present in these instances to alert the cell to imminent danger, and to set in motion the orderly sequence of events that will mitigate this danger”. She goes on to consider “early studies that revealed programmed responses to threats that are initiated within the genome itself, as well as others similarly initiated, that lead to new and irreversible genomic modifications. These latter responses, now known to occur in many organisms, are significant for appreciating how a genome may reorganize itself when faced with a difficulty for which it is unprepared”. An experiment with Zea conducted in the summer of 1944 alerted her to the mobility of specific components of genomes involved the entrance of a newly ruptured end of a chromosome into a telophase nucleus. This experiment commenced with the growing of approximately 450 plants in the summer of 1944, each of which had started its development with a zygote that had received from each parent a chromosome with a newly ruptured end of one of its arms. The design of the experiment required that each plant be self-pollinated to isolate from the self-pollinated progeny new mutants that were expected to appear, and confine them to locations within the ruptured arm of a chromosome. Each mutant was expected to reveal the phenotype produced by a minute homozygous deficiency. Their modes of origin could be projected from the known behavior of broken ends of chromosomes in successive mitoses. Forty kernels from each self-pollinated ear were sown in a seedling bench in the greenhouse during the winter of 1944-45. Some seedling mutants of the type expected overshadowed by segregants exhibiting bizarre phenotypes. These were variegated for type and degree of expression of a gene. Those variegated expressions given by genes associated with chlorophyll development were startingly conspicuous. Within any one progeny chlorophyll intensities, and their pattern of distribution in the seedling leaves, were alike. Between progenies, however, both the type and the pattern differed widely. by the individuality of the chromomeres strung along the length of each chromosome. At that time maize provided the best material for locating known genes along a chromosome arm, and also for precisely determining the break points in chromosomes that had undergone various types of rearrangement, such as translocations, inversions, etc. any broken end with any other broken end. This principle has been amply proved in a series of experiments conducted over the years. In all such instances the break must sever both strands of the DNA double helix. This is a “double-strand break” in modern terminology. That two such broken ends entering a telophase nucleus will find each other and fuse, regardless of the initial distance that separates them, soon became apparent. could separate without difficulty in the following anaphase. the frequency of such events increases with increase in the size of the ring. these exchanges produce a double-size ring with two centromeres. Mechanical rupture occurs in each of the two chromatid bridges formed at anaphase by passage of the two centromeres on the double-size ring to opposite poles of the mitotic spindle. The location of a break can be at any one position along any one bridge. The broken ends entering a telophase nucleus then fuse. The size and content of each newly constructed ring depend on the position of the rupture that had occurred in each bridge. this will occur regardless of the initial distance in a telophase nucleus that separated the ruptured ends. 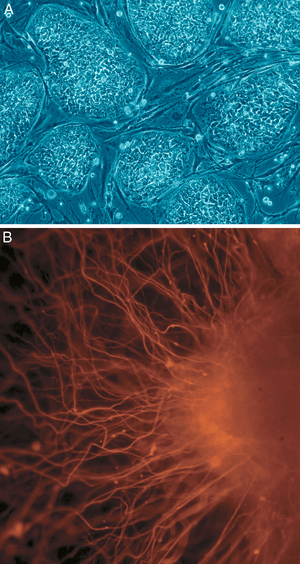 is a particularly revealing example of the sensitivity of cells to all that is going on within them. programmed breaks may be frequent. If not repaired, such breaks could lead to genomic deficiencies having serious consequences. activates a mechanism that is required for replacing the ruptured end with a functional telomere. that such a mechanism must exist was revealed by a mutant that arose in the stocks. this mutant would not allow the repair mechanism to operate in the cells of the plant. Entrance of a newly ruptured end of a chromosome into the zygote is followed by the chromatid type of breakage-fusion-bridge cycle throughout mitoses in the developing plant. 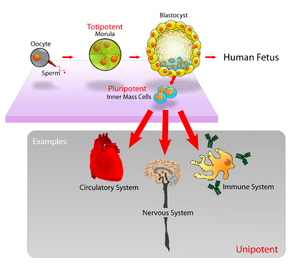 but is activated in the embryo. and the speed with which this trauma is registered, was not appreciated until the winter of 1944-45.
and in a silent state previous to an event that activated one or another of them. She concluded that some traumatic event was responsible for these activations. The unique event in the history of these plants relates to their origin. Both parents of the plants grown in 1944 had contributed a chromosome with a newly ruptured end to the zygote that gave rise to each of these plants. Detection of silent elements is now made possible with the aid of DNA cloning method. Silent AC (Activator) elements, as well as modified derivatives of them, have already been detected in several strains of maize. When other transposable elements are cloned it will be possible to compare their structural and numerical differences among various strains of maize. In any one strain of maize the number of silent but potentially transposable elements, as well as other repetitious DNAs, may be observed to change, and most probably in response to challenges not yet recognized. Telomeres are especially adapted to replicate free ends of chromosomes. When no telomere is present, attempts to replicate this uncapped end may be responsible for the apparent “fusions” of the replicated chromatids at the position of the previous break as well as for perpetuating the chromatid type of breakage-fusion-bridge cycle in successive mitoses. the extraordinary response of the maize genome to entrance of a single ruptured end of a chromosome into a telophase nucleus. It was this event that was responsible for activations of potentially transposable elements that are carried in a silent state in the maize genome. The mobility of these activated elements allows them to enter different gene loci and to take over control of action of the gene wherever one may enter. the modifications these elements induce in the genome may be explored readily. often by restructuring the genome. how the cell senses danger and instigates responses to it that often are truly remarkable. Source: 1983 Nobel Lecture. Barbara McClintock. THE SIGNIFICANCE OF RESPONSES OF THE GENOME TO CHALLENGE. In 2009 the Nobel Prize in Physiology or Medicine was awarded to Elizabeth Blackburn, Carol Greider and Jack Szoztak for the discovery of Telomerase. This recognition came less than a decade after the completion of the Human Genome Project previously discussed. Prof. Blackburn acknowledges a strong influence coming from the work of Barbara McClintock. The discovery is tied to the pond organism Tetrahymena thermophila, and studies of yeast cells. Blackburn was drawn to science after reading the biography of Marie Curie by her daughter, Irina, as a child. She recalls that her Master’s mentor while studying the metabolism of glutamine in the rat liver, thought that every experiment should have the beauty and simplicity of a Mozart sonata. She did her PhD at the distinguished Laboratory for Molecular Biology at Cambridge, the epicenter of molecular biology sequencing the regions of bacteriophage phiX 174, a single stranded DNA bacteriophage. Using Fred Sanger’s methods to piece together RNA sequences she showed the first sequence of a 48 nucleotide fragment to her mathematical-gifted Cambridge cousin, who pointed out repeats of DNA sequence patterns! She worked on the sequencing of the DNA at the terminal regions of the short “minichromosomes” of the ciliated protozoan Tetrahymena thermophile at Yale in 1975. She continued her research begun at Yale at UCSF funded by the NIH based on an intriguing audiogram showing telomeric DNA in Tetrahymena. the end regions were selectively labeled by combinations of 32P isotope radiolabled nucleoside triphosphate, and by mid-year she had an audiogram of the depurination products. The audiogram showed sequences of 4 cytosine residues flanked by either an adenosine or a guanosine residue. In 1976 she had deduced a sequence consisting of a tandem array of CCCAA repeats, and subsequently separated the products on a denaturing gel electrophoresis that appeared as tiger stripes extending up the gel. The size of each band was 6 bases more than the band below it. Telomere must have a telomerase! The discovery of the telomerase enzyme activity was done by the Prize co-awardee, Carol Greider. They were trying to decipher the structure right at the termini of telomeres of both cliliated protozoans and yeast plasmids. The view that in mammalian telomeres there is a long protruding G-rich strand does not take into account the clear evidence for the short C strand repeat oligonucleotides that she discovered. This was found for both the Tetrahymena rDNA minichromosome molecules and linear plasmids purified from yeast. promoters that must bind transcription initiation factors that control transcription, have proteins other than the histones on them. The telomeric repeat tract turned out to be such a non-nucleosomal region. but left the telomeric DNA tract as a single protected chunk. The resulting complex of the telomeric DNA tract plus its bound cargo of protective proteins behaved very differently, from nucleosomal chromatin, and concluded that it had no histones or nucleosomes. Any evidence for a protein on the bulk of the rDNA molecule ends, such as their behavior in gel electrophoresis and the appearance of the rDNA molecules under the electron microscope, was conspicuously lacking. This was reassuring that there was no covalently attached protein at the very ends of this minichoromosome. Despite considerable work, she was unable to determine what protein(s) would co-purify with the telomeric repeat tract DNA of Tetrahymena. It was yeast genetics and approaches done by others that turned out to provide the next great leaps forward in understanding telomeric proteins. Carol Greider, her colleague, noticed the need to scale up the telomerase activity preparations and they used a very large glass column for preparative gel filtration chromatography. Jack W Szostak at the Howard Hughes Medical Institue at Harvard shared in the 2009 Nobel Prize. He became interested in molecular biology taking a course on the frontiers of Molecular Biology and reading about the experiments of Meselson-Stahl barely a decade earlier, and learned how the genetic code had been unraveled. The fact that one could deduce, from measurements of the radioactivity in fractions from a centrifuge tube, the molecular details of DNA replication, transcription and translation was astonishing. A highlight of his time at McGill was the open-book, open-discussion final exam in this class, in which the questions required the intense collaboration of groups of students. double-frameshift mutants in which the N-terminal region of the protein was translated from out-of-frame codons. Protein sequencing of the wild type and frame-shifted mutants allowed them to deduce 44 nucleotides of DNA sequence. If they could prepare a synthetic oligonucleotide that was complementary to the coding sequence, they could use it to detect the cytochrome-c mRNA and gene. At the time, essentially all experiments on mRNA were done on total cellular mRNA. Ray Wu was already well known for determining the sequence of the sticky ends of phage lambda, the first ever DNA to be sequenced, and his lab was deeply involved in the study of enzymes that could be used to manipulate and sequence DNA more effectively, but would not take on a project from another laboratory. So John went to nearby Rochester to do postdoctoral work with Sherman, and he was able to transfer to Ray Wu’s laboratory. In order to carry out his work, Ray Wu sent him to Saran Narang’s lab in Ottawa, and he received training there under Keichi Itakura, who synthesized the Insulin gene. A few months later, he received several milligrams of our long sought 15-mer. In collaboration with John Stiles and Fred Sherman, who sent us RNA and DNA samples from appropriate yeast strains, they were able to use the labeled 15-mer as a probe to detect the cyc1 mRNA, and later the gene itself. He notes that one of the delights of the world of science is that it is filled with people of good will who are more than happy to assist a student or colleague by teaching a technique or discussing a problem. He remained in Ray’s lab after completion of the PhD upon the arrival of Rodney Rothstein from Sherman’s lab in Rochester, who introduced him to yeast genetics, and he was prepared for the next decade of work on yeast. later in telomere studies and other aspects of yeast biology. His studies of recombination in yeast were enabled by the discovery, in Gerry Fink’s lab at Cornell, of a way to introduce foreign DNA into yeast. These pioneering studies of yeast transformation showed that circular plasmid DNA molecules could on occasion become integrated into yeast chromosomal DNA by homologous recombination. His studies of unequal sister chromatid exchange in rDNA locus resulted in his first publication in the field of recombination. they were attracted to what kinds of reactions occur at the DNA ends. It was at a Gordon Conference that he was excited hearing a talk by Elizabeth Blackburn on her work on telomeres in Tetrahymena. This led to a collaboration testing the ability of Tetrahymena telomers to function in yeast. He performed the experiments himself, and experienced the thrill of being the first to know that our wild idea had worked. It was clear from that point on that a door had been opened and that they were going to be able to learn a lot about telomere function from studies in yeast. they obtained the critical sequence information that led (them) to propose the existence of the key enzyme, telomerase. A fanciful depiction evoking both telomere dynamics and telomere researchers, done by the artist Julie Newdoll in 2008, elicits the idea of a telomere as an ancient Sumarian temple-like hive, tended by a swarm of ancient Sumarian Bee-goddesses against a background of clay tablets inscribed with DNA sequencing gel-like bands. she had unexpected findings with the rDNA end sequences. Dr. McClintock urged her to trust in intuition about the scientific research results. This advice was surprising then because intuitive thinking was not something that she accepted to be a valid aspect of being a biology researcher. post WWII research that gave birth to centers for basic science research in biology and medicine in both US and in England, which was preceded by work in prewar Germany. This is to be followed by further developments related to the Human Genome Project.